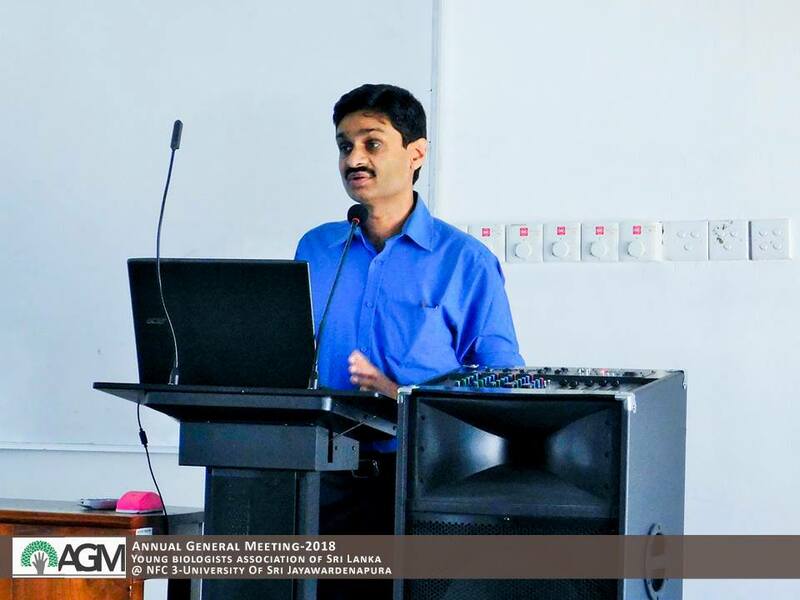 19th Annual General meeting of Young Biologists' Association was held on Saturday 13th January 2018 at University of Sri Jayawardenepura.Our patron Prof.Hiran Amarasekara,Advisory board,past & present members and young enthusiasts to be a part of the organization were gathered at the event.The role of YBA as contemporary voluntary youth organization was discussed and the New committee for the year 2018 was appointed as per constitution. 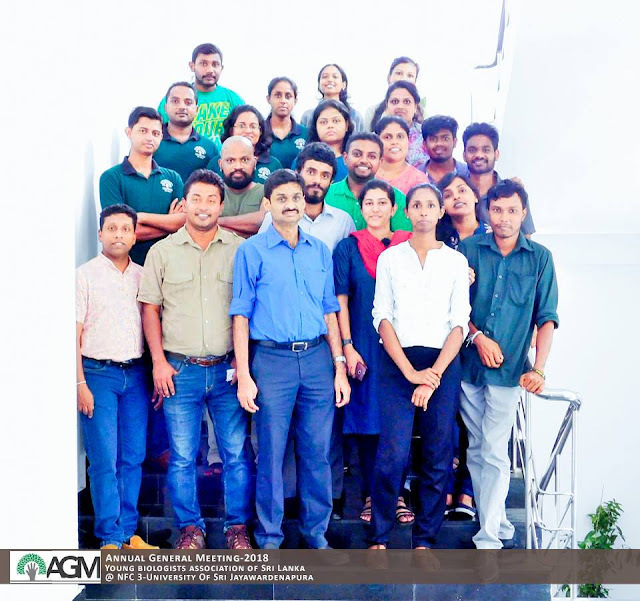 President | Disna Mahagamage, Vice presidents | Dulanjaya chamal,Umayanga Suriyarachchi,Seshan Bandurathne and Imanka Aakash,Joint-Secretaries | Devasmitha Pathirana,Kasuni Yapa Rupasinghe Treasurer | Buddhi Chathuranjali, Asst. Treasurer | Kamesh Sandaruwan, Co-Editors | Samudra De Silva,Hasaranga Tilan ,Co-ordinator of International Affairs | Chathuranga Deshapriya ,Committe members | Dushan Muthunayake,Pumudi Gardiyawasam,Nishath Priyadarshana,Tharindu Nimesh,Chathuka Wijesooriya,Prathibha Madushani,Kalpana Perera,Rajitha Rupasinghe,Oshan Rathnapala. 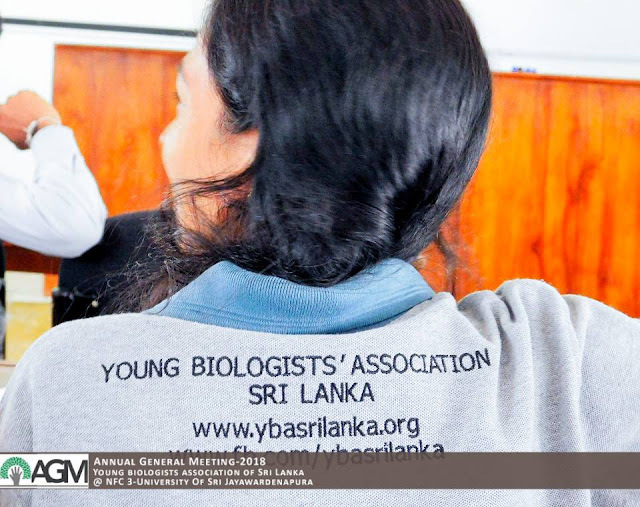 YBA sincerely thanks everyone who held hands with it last year and hopes to extend its vision and mission to wider scopes in the upcoming year,to address the updated and dynamic youth.